Many older FM rigs don't have CTCSS capability, they were built in the days when repeaters were accessed using a 1750Hz tone burst at the start of each transmission. I wanted to add CTCSS tone encoding to my Kenwood TS-790E so it could be used on my local repeaters. 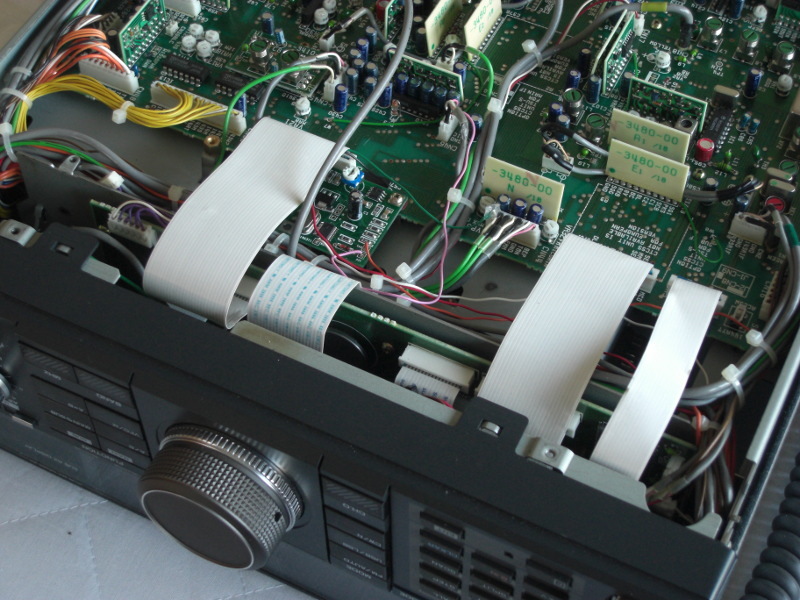 The European version of this rig can't have the Kenwood module fitted because the header connector is not fitted on the main board of the radio. I wanted a system that didn't require opening up the case of the radio to change the selected tone. I also wanted to make the modification easy to revert and didn't want to lose any existing functionality. 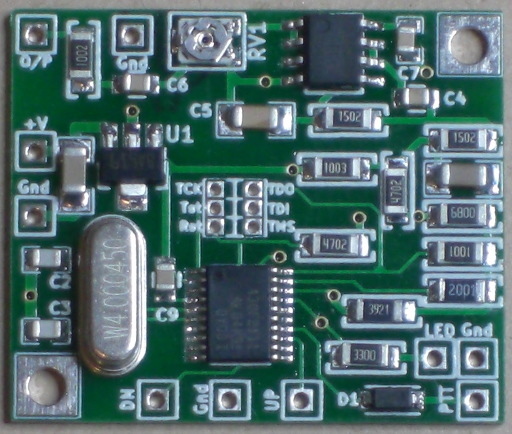 Some internet research gave me some ideas and I decided to design and build my own CTCSS tone encoder board as a project. The boards have turned out to be much more popular than I envisiged and I've now sold over 300 of them! The Rev 5 board is 31mm by 28mm and 5mm high, it is a minor update to the Rev 4 board with the addition of a 'Down' step button. The board comprises a voltage regulator, an MSP430 micro controller to generate the tone output and control the functionality of the system, an active filter to turn the voltage ladder from the 3-bit DAC into a sine wave and a trim pot to allow setting of the output level, plus a few ancillary parts to make it all work. There is provision for 'Up' and 'Down' buttons, an led and a PTT input. The encoder is designed to run from 5 - 15v and draws approx 9mA. 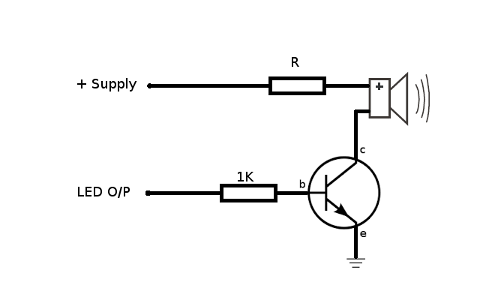 It makes sense to have the supply line switched so that tones are not generated during simplex operation. The tone output is only active when the PTT input is grounded. The tone encoder will generate any of the standard CTCSS tones used by the U.K. repeater system and some of the ones used in Europe. Other tones are possible, please contact me for details. Each time the 'Up' push button is pressed the encoder moves to the next tone in the sequence. The 'Down' button steps in the opposite direction. Each time a new tone is selected, and at power up, the LED annunciates the code letter for the tone in morse code. A tone can be made the default by pressing and holding the 'Up' push button until the LED flashes once. This stores the currently selected value in the micro controller non-volatile memory so that it will be used the next time the encoder is powered up. Tones A through J are the standard UK repeater system tones. 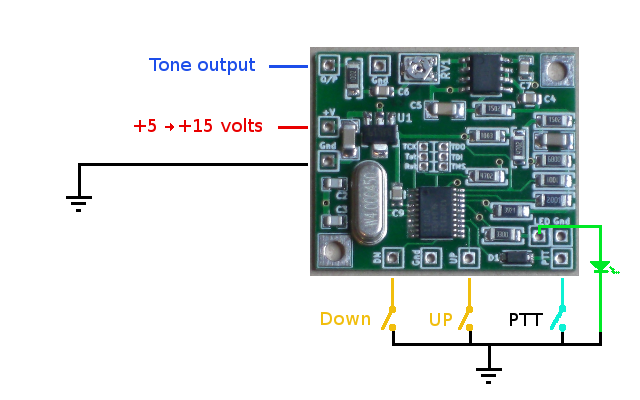 The CTCSS board can not drive a Piezo sounder for audible Morse code output directly due to microprocessor drive current limitations, however if audio output is prefered then the simple circuit shown overcomes this. The transistor can be any NPN type that is rated for the current required by the sounder. The value of 'R' determines the volume and will depend on the sounder type and the supply voltage, for a 5V sounder and a 12v supply 560 ohms is a good starting point. The boards are available direct from me. Individual boards are currently £17.50 plus £1.00 postage and packing. My preferred payment method is Paypal. BUT please contact me first to check that I have stock available. Nick Barnes, G4KQK has written some very good articles about updating the Icom IC-290D, the Yaesu FT290R-Mk1 and the Yaesu FT290R-Mk2 which include fitting the CTCSS boards. Here is my Kenwood TS-790E with an early ctcss board installed. The Led is fitted beside the S-meter so that it shines through the translucent body of the meter. Power is provided by a modification to use the '144 ATT' switch and the command button uses a spare pole on the '1200 ALT' button. 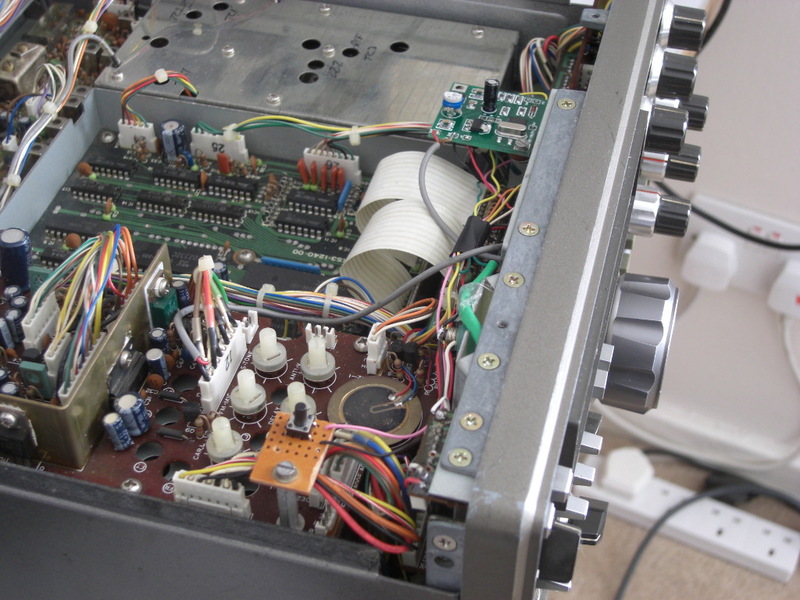 Below is a photo of a rev 2 module installed in a TS-780, note the screened cable used for the tone output connection and the extra button on a stand-off which is accessible through the small backup battery flap on the top of the radio. The 'tone' button on the front panel has been re-purposed for the ctcss on/off function. As on the TS-790 the Led is fitted beside the S-meter so that it shines through the translucent body of the meter.